This salad is seriously one of the best I've EVER tasted! I love the combination of crispy and sweet (but NO SUGAR OR SWEETENERS added other than fruit!) with the kale. FABULOUS. 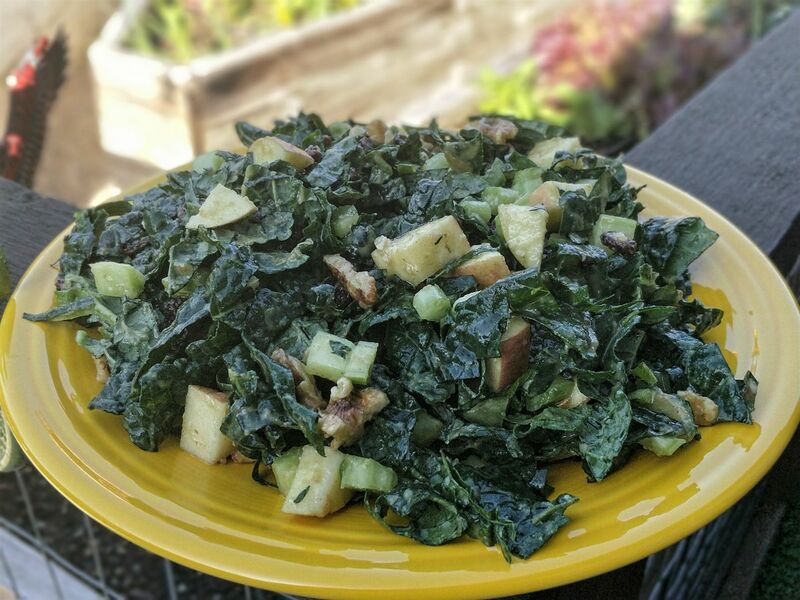 In a large bowl, toss the kale, 1/2 diced apple, walnuts, celery, and raisins until well combined. In a cup blender, blend the other half of the apple with the dates, mustard, vinegar, water, and salt to make the dressing. Pour the dressing over the salad and toss well to combine. Serve! I would say 2 servings, but I can eat a whole of kale myself. 😆 If it's your entire meal, yes.